Note: We’re defining Haggerston as the area — mostly E8 and N1 postcodes — stretching from Hoxton station in the south to the northern edge of Stonebridge Gardens, reaching to London Fields to the east, and running up Kingsland Road and then De Beauvoir Road to the west. Take your refreshments canal-side at Proud Archivist. Better known for their cocktail list and dinner menu, canal-side Barge House repays a daytime visit with the Breakfast in Bread — sourdough loaves filled with English or Mexican variations on a fry-up. Luckily those are on offer till 4pm, so there's no need to choose between brunch food and drinking hours. For a more sober breakfast spot, the next-door Towpath Cafe (36 De Beauvoir Crescent, N1 5SB) and By the Bridge both have views over the canal and serve freshly-baked cakes from 8am. Or to soften the blow of an early commute, you can find Make Coffee’s small Piaggio van pulling up outside Haggerston station at 7.30 am from Monday to Saturday, bearing hand-roasted coffee and an array of pastries. Curio Cabal on Kingsland Road is open from the morning, but they're particularly strong at lunch - the menu runs from very English cheddar and chutney toasties to more exotic baked eggs, sugu and tahini. Family-friendly lunch spots can be tricky in Haggerston, still more Dual-Income-No-Kids territory. But tucked away on the Kingsland Basin offshoot of the Regent’s Canal, kid-friendly Toconoco Café offers Japanese snacks — egg miso rice balls, black sesame and salted cherry blossom shortbread — and boasts the only houjicha latte in London, a low-caffeine green tea twist on the standard. And Stop Fix at Shed London sells salt beef sandwiches and St John doughnuts from a window hatch opposite Haggerston Overground station – ideal distance from Stonebridge Gardens for picking up a coffee and Reuben for a park lunch. Meat munchers' heaven at Duke's. Haggerston locals are spoiled for choice when it comes to pubs, most of them with craft beer on tap, decent wine lists and food to rival the best restaurants in Hackney. The Talbot (109 Mortimer Road, N1 4JY) is one of those, turning out British pub classics in their burnished wooden ground-floor by winter — or by summer, on the wide sun-terrace skirting two sides of the pub's first floor. At the other end of the good pub spectrum, the Duke of Wellington (260 Haggerston Road, E8 4HU) is genuinely old-school rather than ironically retro. (And not to be confused with the on-trend Duke of Wellington in Dalston.) They have zero artisan ales, host zero culinary pop-ups but offer a sanctuary for anyone craving live football in a traditional boozer. You'll hear the stretch of the Regent’s Canal running from Kingsland Road towards Islington called the Haggerston Riviera, which, on a grey winter's morning, sounds like an estate agent's desperate fiction. 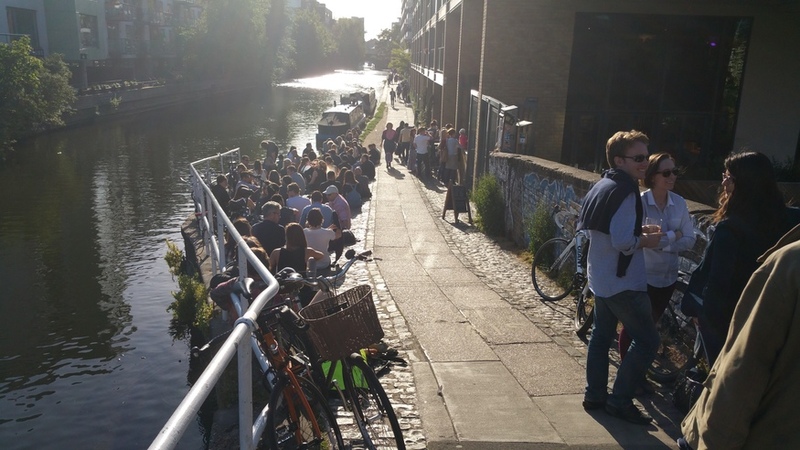 But wander down to the canal on a summer afternoon and there's a definite hint of coastal life; people lining the waterway with picnics sourced from the café menu at Barge House or with Aperol spritzes from Proud East. The latter's worth visiting at any time of day or night, since their two-floor space contains multitudes: café, restaurant, bar, gig venue and gallery, with reliably good cocktails and bar snacks on hand wherever you end up. Unlike Dalston's cluster of Turkish restaurants and the string of Vietnamese spots in Shoreditch, Haggerston’s food scene isn’t skewed heavily towards any one place of origin — although the end of Kingsland Road bordering Hoxton does have its fair share of excellent Vietnamese, with the best pho and noodle salads courtesy of Sông Quê Café or BunBunBun. Instead the Venezuelan specialities at Arepa & Co (try the signature arepas — cornbread stuffed with shredded beef, fried plantain or salty guayanés cheese) rub shoulders with the Japanese ramen and dense pork stock at Tonkotsu East. And for African stews, West Indian curries and Nigerian Gulder beer, Lekki Restaurant and Bar covers everything — from a side of fried yams or takeaway meat patties from the counter at the front, to a blow-out dinner of edikaikon soup, efo-egusi stew and jollof rice. Middle Eastern mash-up at Berber and Q. As you’d imagine in a part of east London sometimes called Hackerston — a reference to all the tech start-ups and Silicon Roundabout overspill — demand is high for welcoming spots where you can set up for hours at a time with a laptop. Coffee’s treated like a religion, with Haggerston baristas eulogising their single origin beans and artisan roasting process the way a sommelier would their wine list. Some of the best coffee's to be found at Haggerston Espresso Room, although the avocado, goat’s cheese and chilli toast would be reason enough to visit them regardless. And to stand out from the crowded café scene, a lot of the Haggerston coffee shops are going above and beyond to lure in punters. Bread and Butter Café (7 Enfield Road, N1 5EN) is well-stocked with board games, though it's nothing compared to the 600+ range on offer at Draughts, where the staff are on hand to give you tutorials for the more arcane games. The tiny coffee shop in Hundred Years Gallery gives you the chance to steep yourself in culture at the same time as caffeine. And technically all about leaves rather than beans, Haggerston Tearoom still ticks most of the boxes for a great coffee shop, with a cheerful café-space, cakes supplied by Better Health Bakery and a range of speciality teas to please all but the most committed macchiato-drinker. You'd struggle to find anywhere in Haggerston that fits the white tablecloth and unctuous service mould of fine dining. 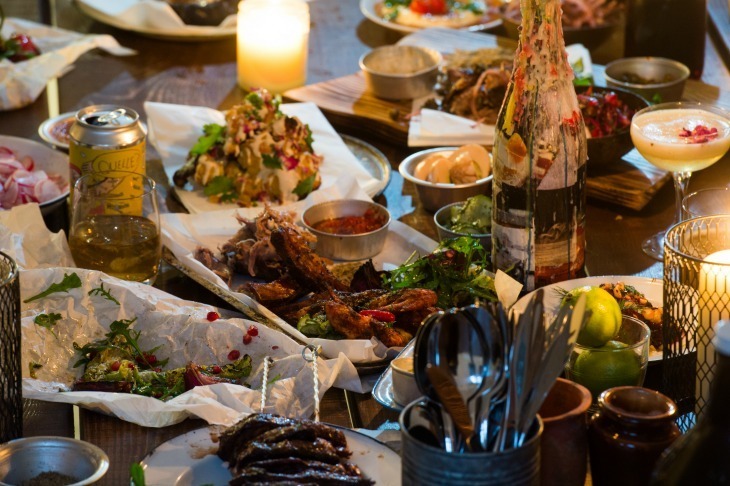 But there's far better, with North African bar, grill and restaurant Berber and Q, opened by an ex-Ottolenghi chef in one of the railways arches on Acton Mews. Thoroughly special without being remotely formal, head there for low-lit date nights perched on a high window seat, with sumac cocktails and Ottoman-influenced sharing plates. 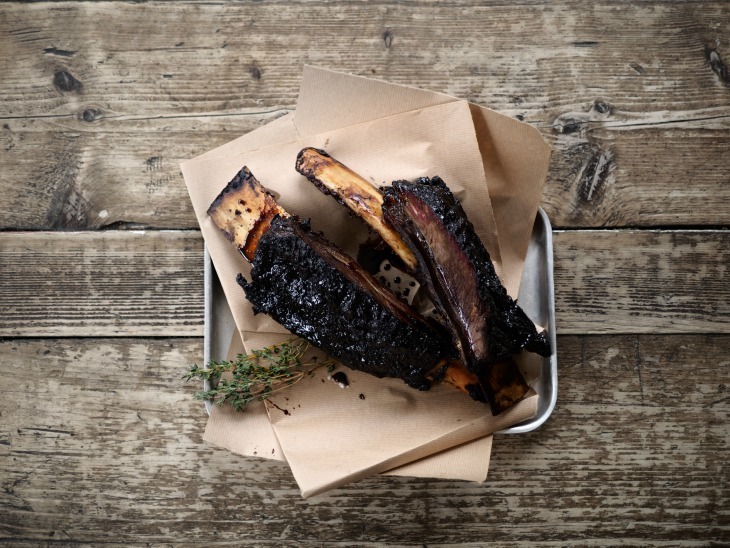 Or embed on the lower banquettes to really explore the menu at length: it tends to feature smoked pork belly, date-glazed pulled lamb, charred aubergine and cauliflower shawarma, served with a background of dance music and deep house. Tapas and cocktails at La Cabina. For post-midnight martinis in a very rococo setting visit Map Maison cocktail bar, open until 1am for most of the week and until 2am on Saturdays. Their snack selection's limited, but for late-night food you can always transfer to La Cabina, offering music, cocktails and — the real USP — a tapas menu till 5am from Thursday to Saturday. 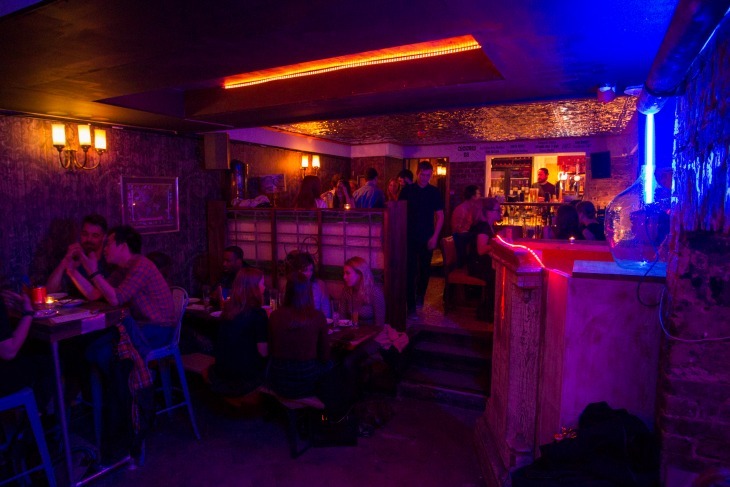 The food's Spanish-influenced but the DJs, hidden speakeasy entrance and neon basement setting are 100% east London. Just across the road, the Saturday Lates at super-pub The Glory run till 2am with punters turning up for a combination of disco nights, cabaret performers or just very dedicated drinking in their basement bar. And when the Glory's doors close behind you, there'll still be time to hit Ali's Floria (232 Kingsland Road, E2 8AX) serving up Turkish kebabs or gözleme (lamb or spinach-stuffed flatbreads) and British fry-ups until 5am on weekends.